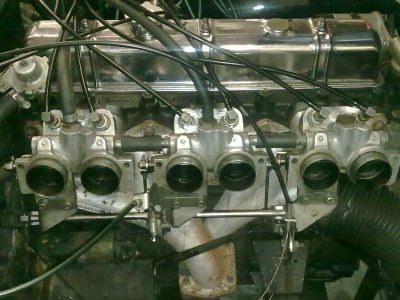 We specialise in the diagnosis and repair of problems associated with the Lucas fuel injection systems as fitted to Triumph TR5/6, some models of Maserati cars and some race cars that run versions of this system. Over the years we have accumulated the test equipment and knowledge to enable us to diagnose the problems quickly and efficiently saving our time and your money. All our latest metering units/Injectors are now using Ethanol resistant seals and gaskets. 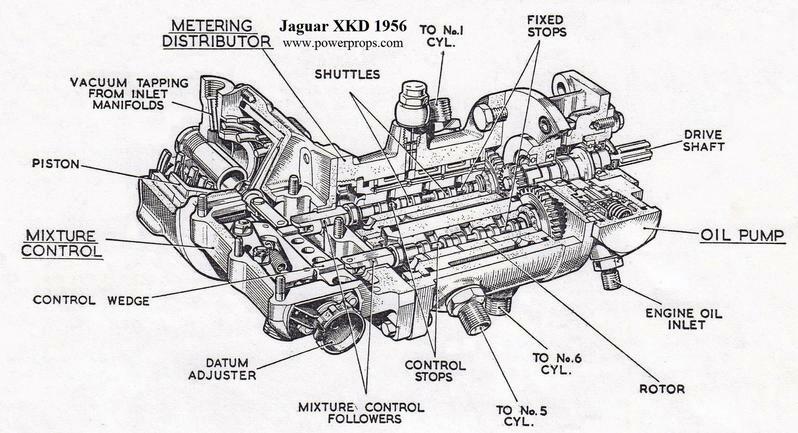 Nous sommes également spécialisés dans le diagnostic et la réparation de toute panne impliquant un système d’injection Lucas comme on en trouve sur les Triumph TR5/6, certaines Maserati et quelques voitures de course utilisant ce système très spécifique. Notre expérience dans ce domaine associée à un matériel spécialisé complet, nous permet de diagnostiquer les problèmes très rapidement. Nos appareils de diagnostic et de mesures sont tous équipés de pièces et de joints résistants à l’ethanol. We work closely with companies such as KMI and precision Injection in the UK who are leading suppliers of service or exchange units for these Lucas systems. In cases where the metering unit is a rare item as on some early Maserati or race cars, then the customers own unit can be rebuilt, calibrated and returned. All Lucas service/exchange units supplied and fitted by us, carry a 12 months no quibble guarantee. 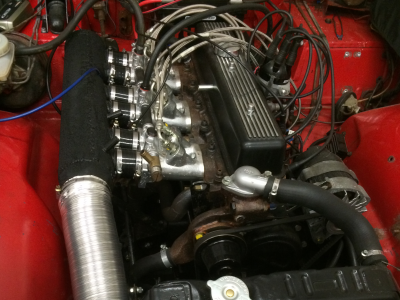 The Lucas system as fitted to a Triumph TR5 with our modified underslung throttle linkage. 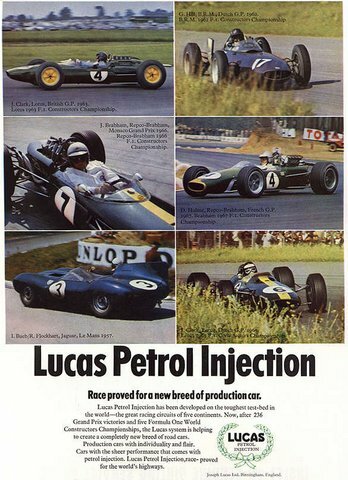 We set up all the throttle butterflies which is often overlooked by garages that do not fully understand these Lucas systems. We check the butterflies again with the engine running using 6 Vacuum gauges to balance the inlet tracts perfectly. 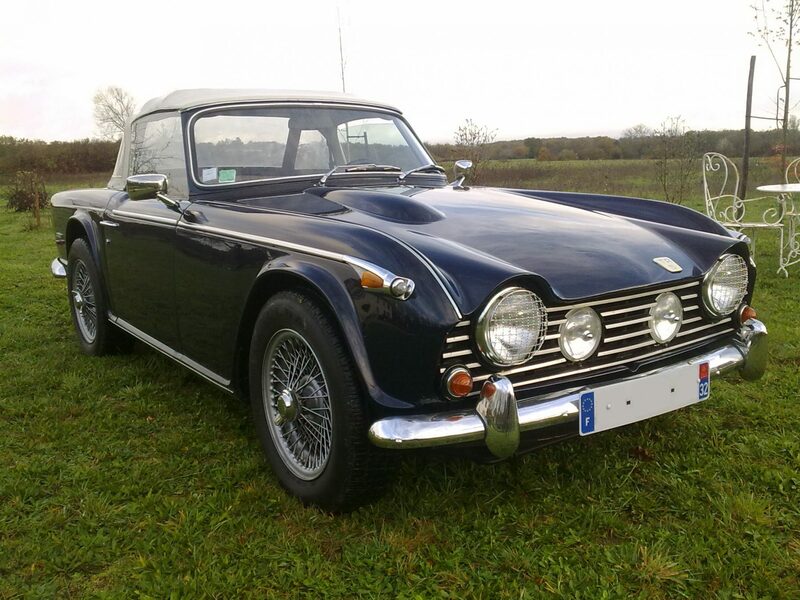 This Triumph TR5 came crawling into our workshops running on 4 cylinders due to the injection system digesting water. We rebuilt the metering unit with Ethanol resistant seals, taking the opportunity to convert the fuel pump system to the modified Bosch set up with larger fuel filter system. On completion the client drove the car to the South of France and back, a round trip of some 800kms with out missing a beat. This TR6 came in for a full fast road engine build which meant we had to modify the Lucas fuel system to match the camshaft profile and the extra fuelling required for the ported and polished cylinder head. We incorporated a K&N air filter system as we discovered sometime ago that these Lucas fuel systems run far better on cold air.